Racing fans will be descending on Kansas City, MO during the weekend of October 19-21, 2018 for the Hollywood Casino 400. This race takes place at the Kansas Speedway which runs many other events throughout the year including fundraisers, corporate events, driving schools, and “ride alongs”. During the weekend of October 19-21, 2018, some of NASCAR’s biggest stars will get behind the wheel and rev their engines to take their laps around the Kansas Speedway. This is a full weekend of racing fun! On Friday October 19th, the parking lots open at 9AM and the Grandstand opens at 10AM. You can watch three practice runs then the ARCA Racing Series Qualifying race is scheduled for 6:10PM. At 7PM, the Kansas 150 Drivers are introduced for race time at 7:30PM. On Saturday, October 20th, get an early start with parking opening at 6AM. The Grandstand gates will open at 8AM and the flag for the first practice run is waved at 9:30AM. The Kansas Lottery 300 Qualifying race is set to start at 10:40AM with this race running at 1:155PM. On Sunday, October 21, special musical guest Chris Janson will kick-off the Hollywood Casino 400 Race Day with a country music concert for guests who purchased a pre-race pass. The parking lots open at 6AM and the final race of the weekend, the Hollywood Casino 400, is scheduled for 1:20PM. Purchase a Pre-Race Pass ($75) for up close access to drivers. Walk beside pit road and see the cars before the race. Visit DC Solar FanWalk and imagine what it would be like to drive in the Gatorade Victory Lane. You can also watch the drivers meeting inside DC Solar FanWalk. The ultimate VIP racing experience is accessible to anyone who purchases a ticket for the Ignition Garage! This pass includes the Pre-Race Pass and adds a guided tour of the garage area, a Q&A Session with drivers, a catered meal, special momentos from race day, preferred parking pass, and transportation until Stage 1 break. This ultimate race day experience costs $199 but the memories will be priceless! There are other opportunities waiting for you at Kansas Speedway! Ride along or drive a NASCAR race car! On October 6 & 7 and November 3 & 4, you can purchase tickets to experience the thrill of rolling around a race track. You can choose to ride “shot gun” in a real NASCAR race car for three or six laps at top speed. If you have always wanted to drive a race car, you can choose to Practice and drive for five minutes in times trials. Check out the VASCAR Racing Experience at Kansas Speedway for all the opportunities to ride or drive a real race car! 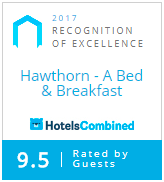 After all the excitement of race day or the NASCAR Experience, you will be pleased to return to Hawthorn B&B for a restful night. Make your reservation now for race day or for one of the experiential days at Kansas Speedway! This entry was posted in Attractions, General, Kansas City, Special Events, Uncategorized by admin. Bookmark the permalink.